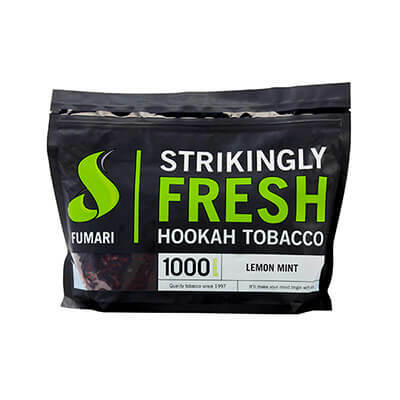 Fumari has a great variety to choose from and their 1 Kilogram tub / 1000g pouch is perfect for stocking up on your favorite shisha flavors while saving on expense and each tub is dated for quality control. This size is packaged in resealable pouches that will keep your shisha fresh without the need of an additional air tight container. It is also worth mentioning that the packaging is full of clever humor; take a moment to read it - trust me - it's worth it.